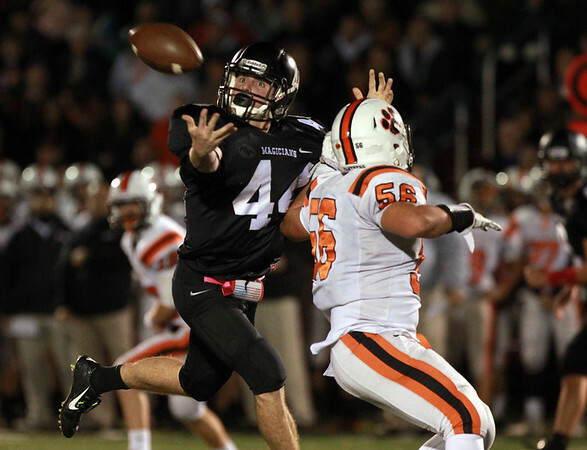 Marblehead senior running back Brooks Tyrrell (44) tries to keep his eyes on a pass from quarterback Spencer Craig (44) while being defended by Beverly senior Jimmy Kastrinakis (56). DAVID LE/Staff photo. 10/10/14.